Welcome to audio gate or "noise gate" information. Here we will attempt to offer some guidance & advice for beginners who may be confused by the new world of home & studio recording & dance music making. To start with, these are the top-selling gates & other dynamic processor units last month at Thomann superstore, one of the largest retailers in Europe - This shortlist gives you some pointers as to what products are popular in this category at today's date. Audio Noise Gates are usually utilised to close down mic channels in a multi-mic setup like on a drum kit etc. Now you can use an Audio Gate like that, but in the midi Dance studio it's best used on tape tracks for example, to keep the hiss out when there's nothing happening on a track, or to quieten down a channel with a really noisy bit of kit on it... But where it is most useful, is to create wicked gating FX when utilised with a synth or keyboard or other sound source. Audio Gates, are available pretty cheap. 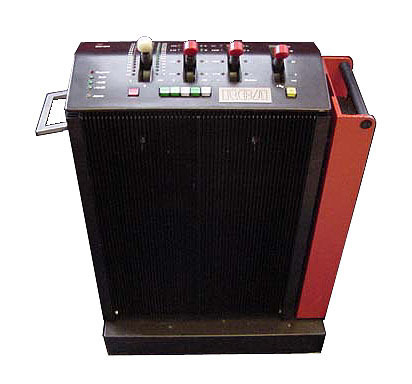 You can get a cheap mono unit, which will be fine to do some FX tricks for about 40 - 60 quid s/h.... You can get a stereo pair of Gates for about 100 - 150 quid s/h. At these prices, and for the purpose we want them for these ones will work just fine. Important: Make sure the Gates you buy have Trigger Inputs! THRESHOLD..... Sets the level the signal has to reach before the Gate will open. ATTACK..... Sets how fast or slow the gate opens, it can be almost instant, or as slow as a small fade in. HOLD..... Works as on a synth, keeping the gate open for a desired time before the Decay takes over. DECAY..... Sets how fast the Gate closes once the signal has fallen below the Threshold level. STEREO LINK..... This switch locks both sides of a stereo Gate together, so that when processing a stereo signal, they open simultaneously. Usually, once switched, one side of the pair will then control at least the Threshold & Attack. Sometimes you can still set a different Release time for each side. TRIGGER INPUT.... 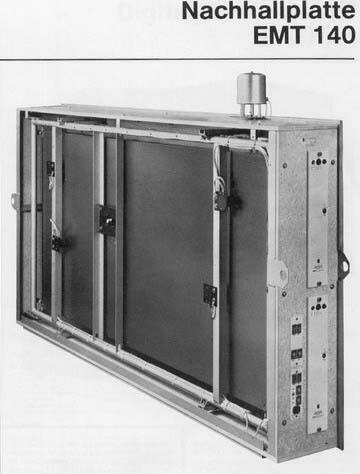 This switches one or both sides of the Gate to monitor the Threshold control signal from a different source other than the one coming through the Gate channel. This is the control that allows us to do some cool FX, so if you get a gate, make sure it has this function. Switch IN the Frequency concious section if it is switchable. 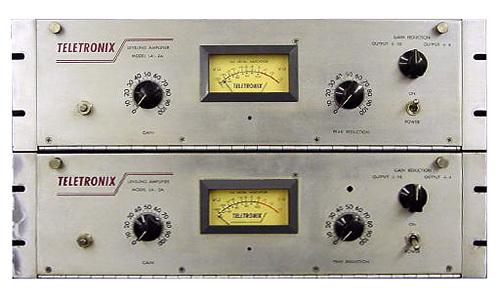 FREQUENCY HP... Basically a High pass filter. Adjusting this control allows you to "tune" the Gate to open only when it hears sounds within the frequency range as set in this section. If you tuned it to "listen" to only high frequencies,this stops the snare for example from opening the Gate when you want only the Hi-hat to open it when miking up a kit. FREQUENCY LP... Basically a Low pass filter. Use this alone or in combination with the HP filter to tune the gate as above. The Gate will only respond and open upon detecting an audio signal in the choosen frequency range that crosses the audio Threshold. The purpose of this, would be best illustrated in a setup where there are several mic's recording a drum kit. The hi-hat puts out alot of audio volume in this frequency range, so it will open the Gate. The snare, distanced about a foot or two away, puts out less frequencies in this range, so will not open the Gate. This function on Audio Gates, allows an engineer to seperate instrument sounds in a mix from opening each others mic channels, and thus obtain greater control. Alot of these tips relate to things you can do with a midi & H/Disk system. Some will apply to Tape & midi as well... Quite a few of these FX tricks are the same as in the REVERB FX & TIPS Section... But hey!... that's the way it goes. Fairly common one this, you probably know it, but if y'don't, and you've got a Stereo Audio Gate unit (cos we're processin' a stereo reverb signal), here goes. 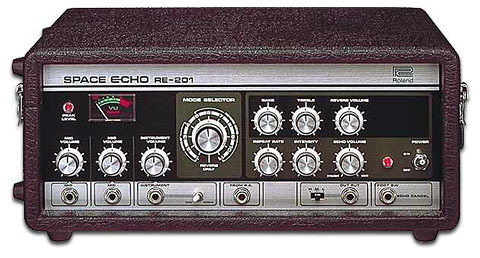 Send the desired sound from the mixer, via an auxilliary send (echo/fx send) to the Reverb Unit. 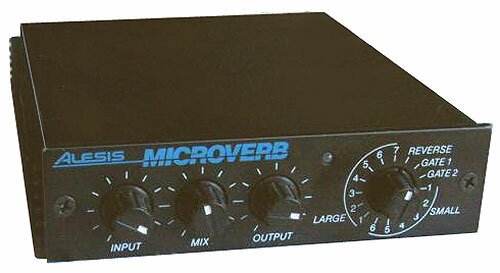 Bring the L & R outs from the Reverb Unit into the L & R inputs on a stereo noise gate. Set the Reverb to a large reverb setting, like a hall or something. Set the gates to Stereo Mode, and set a low Threshold, and a fast Attack. The beauty of doing it yourself, is that you can get just the correct amount of open/hold time on the gate, to obtain the custom sound you're after, and to rhythmically fit the song... Most cheaper Reverb Units if they have Gated Reverb, fix the decay time, which can clash rhythmically with the song. Once you've set up the effect, say on a synth pattern, you can run the sequencer, and record the Reverb effect with the synth onto H/Disk (or Tape). You can then arrange the effected synth patterns into the song with copy/drag 'n' drop, and then reset the reverb for general use in the final mix. Another wierd variation can be had by setting the gates to Fixed Stereo mode, AND... Trigger Input mode, and then while having the Reverb go through them, trigger the gates open and closed rhythmically with something like a hi-hat pattern. All you have to do, is send some hi-hat to the Trigger Input Socket on the gates from either an Aux Send, or with an insert cable plugged into the hi-hat- channel insert socket. This gives you wierd rhythmic reverb coming off a sound. Once again, you can record the effect into H/D, and arrange the patterns into your song, then reset the reverb for general use. Ok, this is a variation of above. This is how to get the famous 'Prodigy' guitar rhythm sound... This is also the technique used to get the ryhthmic intro on the Prince track 'Kiss'... On the track 'Kiss', Prince strums an acoustic guitar normally on the track.... This is then fed thru a Noise-Gate, and the Gate is opened and closed rhythmically by a trigger input from some sound source like a hi-hat pattern.... This gives that stuttered rhythm sound on the track...Here's the proceedure in more detail.... In this example we are getting the effect on a synth pad sound, but for the Prodigy sound, use a distorted rock guitar.... and obviously you can use this technique on any sound. Set up the sequencer playing a drum beat with a regular hi-hat pattern. Next set up a synth playing a pad sound like say a Synth String Sweep pad or something. Next set up a sequencer loop, of about 4 - 8 bars of the drums & the synth pad, playin' a single note held for the duration of the loop. Send the synth pad through one side of the Audio Gate. Set the Gate to Trigger Input Mode, and to a fast Attack & Decay time. Send some hi-hat signal out from the desk, from an Aux Send, or via a parallel line insert (that does not cut out the original hi-hat). Feed that Aux hi-hat signal into the Trigger Input on the Gate. Now as the loop plays, adjust the Threshold on the Gate, until the hi-hat signal is opening & closing the gate with every hit. The effect you should get, is the sound of the synth pad being triggered in & out with the hi-hat rhythm. This effect sounds wicked, and unlike anything a regular synth can come up with. This FX sounds good on other sounds that are continuous and sustained such as vocal parts, or reverb as in the above trick. You can use any sound to feed to the Trigger Input on the Gate, you can even make up a drum pattern which doesn't appear as a drum sound in the mix, but is created just to trigger the gate. In this case, simply send that sound direct to the Gate's Trigger Input, bypassing the desk and audio outs. If you are using a tape machine like a Fostex or something, or even if you're just using a midi only system, when you go to mix-down the track to stereo, there's always that pause at the beginning, before any sounds start up. Before the track comes in, there is often alot of hiss etc coming from the mixer and other kit, as well as the tape tracks if your using them. If you have inserts on your stereo ouputs from the desk, patch the stereo gates across the output. If you don't have inserts, run the stereo outputs direct into the Gates, and monitor off the stereo machine. Try a few dry runs, starting the track from the top. Set the Gates to Stereo Link Mode, so each side is sync'd. Set the Threshold so the Gates open at the first sound to appear. Set the Attack Time to Fast so the Gates open quick, and the Decay or Release Time to slow or medium. Now run the mix, and if the track has a fade out at the end, as soon as the track kicks in go to the gates and switch the Bypass Switch on. This will stop the Gates cutting in halfway through your fade-out. At the end of the fade-out, flick the Gates' Bypass Switch off, and they will gently close down the signal to the Mastering macine, eliminating any electrical noise that may still be present even though the Main Fader is right down. This will keep your mixes super quiet, and when that sound comes blastin in from no-where, it sounds real good. OK, we can't all afford super pro backin vocal teams, so often they get done by some mates or some not so experienced people. Sometimes they don't all come in together, there's a fraction of a second gap between the start of the first phrase from each of say 3 vocalists. If you put the track with the BV's through a Gate channel, you can set the Threshold, so it sounds like they're all coming in spot-on. You can also adjust the Attack Time, to make the vocals fade in really fast, which can sound interesting, especially if they are shadowing a main vocal line. You can also apply long Attack times to get wierd fade-up FX! or nominate an unlisted audio-gate unit here! For listed audio-gate units, please leave your comments or review on the actual audio-gate unit item page - You can browse audio-gates in the GEAR section - if you have an actual question, try asking on the forums.